स्टील अथॉरिटी ऑफ इंडिया (सेल) ने 30 जून, 2011 को समाप्त तिमाही के लिए बिना जाँचे हुये परिणामों की सूचना दी है. बैंक का शुद्ध लाभ कर के बाद 30 जून, 2011 को पिछले साल की इसी तिमाही के लिए 1176.65 करोड़ रुपये की तुलना में 30 जून, 2010 को 838.06 करोड़ रुपये पर 28.78% की गिरावट आई है. इसकी कुल आय समीक्षा के तहत 30 जून, 2010 को पिछले वर्ष की इसी तिमाही के लिए 9519.52 करोड़ रुपये से 11389.04 करोड़ रुपये पर 19.64% से बढी है. The company’s net profit for the quarter ended June 30, 2011 has declined 28.78% at Rs 838.06 crore as compared to Rs 1176.65 crore for the corresponding quarter last year. Its total income rose 19.64% at Rs 11389.04 crore for the quarter under review from Rs 9519.52 crore for the same quarter last year. 20 जुलाई 2011 आयोजित होने वाली बैठक में (शेयर आवंटन) को पिदिलिते इंडस्ट्रीज की समिति निदेशकों को जो अपने अधिकार का प्रयोग करने के लिए विदेशी मुद्रा परिवर्तनीय चार रूपांतरण अमेरिकी डालर प्रति 100.000 के बांड 8,92,880 इक्विटी शेयरों में तब्दील ट्वेंटी थ्री बांड प्राप्त नोटिस के अनुसार आवंटित किया गया. तारीख के रूप में वहाँ के 340 कुल बांड 34 मिलियन अमेरिकी डॉलर हैं. 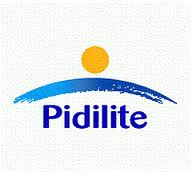 The foreign currency convertible bonds (share allotment) committee of Pidilite Industries at its meeting held on 27 July 2011 has allotted 8,92,880 equity shares pursuant to four conversion notices received from investors who have exercised their right to convert, into equity shares, twenty three bonds of US $ 100,000 each. There are 340 bonds aggregating US$ 34 million outstanding, as on date. MMTC has announced that H S Mann, director (marketing) holding additional charge of CMD has relinquished his charges of director (marketing) & CMD with effect from 22 July 2011. Vijay Laxmi Joshi, Additional Secretary, Department of Commerce, MOC&I, Government of India has assumed the additional charge as CMD, MMTC with effect from 22 July 2011. 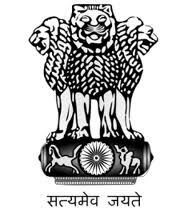 Anil Razdan has assumed the charge of non-official part-time (independent) director with effect from 13 July 2011. S Krishnan has assumed the charge as non-official part-time (independent) director with effect from 14 July 2011. Religare Mutual Fund has launched a new fund named as Religare Fixed Maturity Plan–Series VIII – Plan F (369 Days).The New Fund Offer (NFO) price for the scheme is Rs 10 per unit. The new issue will be open for subscription from 9 August and close on 10 August 2011. The fund seeks to collect a minimum subscription (minimum target) amount of Rs 1 crore under the scheme during the NFO period.Entry and exit load charge for the scheme will be nil. 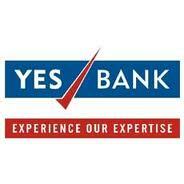 The scheme will be listed on the Bombay Stock Exchange of India Ltd. (BSE). Benchmark Index for the scheme will be CRISIL Short Term Bond Fund Index. Mr. Nitish Sikand will be the Fund Manager for the scheme. सरकार ने भूमि सेज प्राप्त करने के लिए डेवलपर्स द्वारा सामना कठिनाइयों की वजह से विशेष आर्थिक जोन के लिए न्यूनतम अंतरिक्ष कसौटी पुनर्विचार (एसईजेड) पर विचार कर रही है.जमीन लेने के लिए किसानों के विरोध कड़ा पड़ाव था कई सेज परियोजनाओं, डेवलपर्स की संख्या अधिग्रहण भूमि से संबंधित मुद्दों के साथ जूझ रहे हैं. वर्तमान में एसईजेड की स्थापना के लिए न्यूनतम स्थान की आवश्यकता 5,000 हेक्टेयर है. वाणिज्य सचिव राहुल खुल्लर ने कहा, 'भूमि मुद्दे महत्वपूर्ण हैं ... मुझे लगता है कि न्यूनतम आकार कुछ ऐसा है जो की जरूरत फिर से निश्चित रूप से देखा जाएगा. आप भूमि क्षेत्र के 5,000 (हेक्टेयर) नहीं जा रहे हैं, यह एक पाइप सपना है. The government is considering rethinking the minimum space criterion for Special Economic Zones (SEZs) due to difficulties faced by the developers for acquiring land for SEZs. The stiff protest from the farmers for acquiring land had halted many SEZs projects, numbers of developers are struggling with issues related to land acquisition. At present, the minimum space requirement for setting up of SEZs is 5,000 hectare. The commerce secretary Rahul Khullar said, 'Land issues are critical... I think the minimum size is something that needs to be looked at again definitely. You are not going to find 5,000 (hectares) of land area, it is a pipe dream. बीएलबी की आयोजित होने वाली 11 अगस्त 2011 बोर्ड बैठक मे समाप्त वित्तीय वर्ष 30 जून 2011 के लिए कंपनी के जाँचे हुऐ वित्तीय परिणामों पर और बिना जाँचे हुऐ वित्तीय परिणामों पर विचार किया जाएगा और 31 मार्च 2011 को समाप्त वर्ष के लिए कंपनी के वार्षिक खातों को मंजूरी दे दी है. बोर्ड लाभांश के लिए भी सलाह देगी. यदि कोई हो. 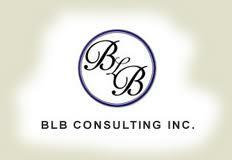 The board meeting of BLB will be held on 11 August 2011 to consider the unaudited financial results for the quarter ended 30 June 2011 and to consider the audited financial results for the year ended 31 March 2011. The board will also consider declaration of dividend, if any. बीजीआर एनर्जी सिस्टम्स ने 30 जून, 2011 को समाप्त तिमाही के लिए परिणामों की सूचना दी है. बैंक का शुद्ध लाभ समाप्त तिमाही के लिए 60.54 करोड़ रुपये की तुलना में 50.25 करोड़ रुपये पर 16.99% की गिरावट हुई है . इसकी कुल आय भी Q1FY11 के लिए 909.31 करोड़ रुपये की तुलना में Q1FY12 के लिए 734.17 करोड़ रुपये में 19.26% की कमी हुई. 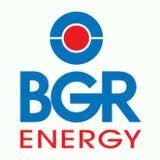 BGR Energy Systems has reported results for the quarter ended June 30, 2011. The Company’s net profit for the quarter has dropped by 16.99% at Rs 50.25 crore as compared to Rs 60.54 crore for the corresponding quarter of the previous year. 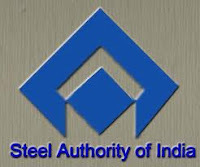 Its total Income has also decreased by 19.26% at Rs 734.17 crore for the Q1FY12 as compared to Rs 909.31 crore for Q1FY11. The fund house has announced dividend of Rs 0.00186300 per unit for individual / HUF and for others it is Rs 0.00159700 per unit for July 27, 2011 under retail plan. The amount of dividend under institutional plan is Rs 0.00195600 per unit for individual / HUF and for others, it is Rs 0.00167600 per unit. 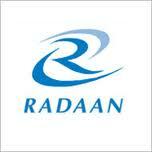 The board of Radaan Mediaworks India in its meeting on 26 July 2011 has approved the disinvestment of company's shareholding in Radaan Talent Factory, the Sri Lankan joint venture. Further, the board has approved the formation of a wholly owned subsidiary in Sri Lanka to run its business independently. 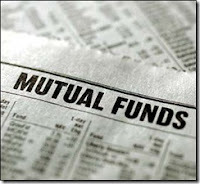 Mutual Funds (MFs) made investments worth Rs 607.10 crore and sold off Rs 601.20 crore worth of equities on July 25, 2011, according to data released by the Securities and Exchange Board of India (SEBI). Thus, MFs stood as net buyers of Rs 5.90 crore in equities on that day. In the month of July, MFs have made total investments of Rs 9256.20 crore and sold off Rs 8491.40 crore worth of equities, so far. In the debt segment, MFs made investments of Rs 2060.90 crore and sold off Rs 2718.50 crore on July 25, 2011 as per the details available with SEBI. परिणाम उपरोक्त आवंटन के लिए कंपनी की चुकता शेयर पूंजी में 1 रुपये प्रति के 61,48,02,887 इक्विटी से 1 रुपये प्रति के 61,46,16,450 इक्विटी शेयरों में कुल 61.48 करोड़ रुपये से 1 रुपये प्रति के कुल 61.46 करोड़ रुपये के शेयरों में वृद्धि हुई है. 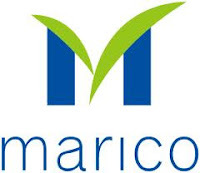 The committee of Marico on 27 July 2011 has approved allotment of 1,86,437 equity shares of the company of face value of Re 1 each under the existing Marico Employees Stock Options Scheme 2007. Consequence to the above allotment, the paid up share capital of the company has increase from 61,46,16,450 equity shares of Re 1 each aggregating Rs 61.46 crore to 61,48,02,887 equity shares of Re 1 each aggregating Rs 61.48 crore. 26 जुलाई 2011 को ग्लेनमार्क फार्मास्युटिकल्स की अपनी बैठक में स्वीकृत दी गई ESOS के अनुसार विकल्प के अभ्यास पर 21,000 शेयर कंपनी के कर्मचारियों को आवंटित किया गया है. The board of Glenmark Pharmaceuticals in its meeting on 26 July 2011 has allotted 21,000 shares to the employees of the company on exercise of options granted to them pursuant to ESOS 2003. Polaris Software has successfully conducted the first ever 'Polaris Financial Technology E-Conference' bringing together analysts, partners, customers, industry leaders and associates across 3 continents and 4 time zones. The one-of-its-kind FT e-conference held in Chennai, highlighted the importance of collaboration, assimilation and networking.Being in the BFSI sector for over 25 years, Polaris has used innovative and contemporary financial technology to continually build expertise and deliver efficiency. The company made this announcement during the trading hours today, 26 July 2011. 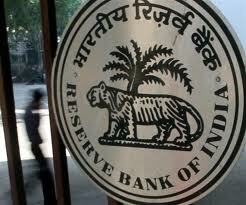 At the outset of the first quarter policy, RBI has released handbook on monetary developments on 25 July 2011. The market set for 25 bps hikes in repo /reverse repo rate at the background of inflation. Aggregate investment as well as corporate investment intentions dipped in the second half of 2010-11 and are yet to show signs of improvement. Corporate sales growth remains robust but profits are moderating due to higher costs. Despite some deceleration, private consumption demand continues to be strong. Food inflation has declined. However, near-normal monsoon may not ease pressure on food inflation further due to increases in wage costs and support prices. These trends necessitate structural reforms to enhance supply response, while the anti-inflationary bias of monetary policy anchors inflation expectations. शॉपर्स स्टॉप - रिटेल सेगमेंट में प्रमुख खिलाड़ियों से एक - 'शॉपर्स स्टॉप' नई दिल्ली रोहिणी में एक स्टोर खोला है. इस स्टोर के उद्घाटन के साथ कंपनी के अब अपने ऑपरेशन के तहत दो हवाई अड्डे स्टोर सहित 43 'शॉपर्स स्टॉप' स्टोर है. हाल ही में, स्टॉप शॉपर्स - रिटेल सेगमेंट में प्रमुख खिलाड़ियों से एक - विजयवाड़ा में एक 'शॉपर्स स्टॉप' स्टोर खोला था. 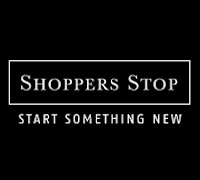 Shoppers Stop - one of the leading players in retail segment - has opened one ‘Shoppers Stop’ store at Rohini in New Delhi. With the opening of this store, the company has now 43 'Shoppers Stop' stores including two airport stores under its operation. 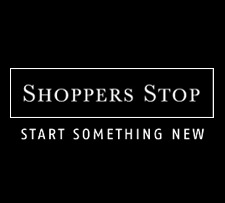 Recently, Shoppers Stop - one of the leading players in retail segment - had opened one ‘Shoppers Stop’ store at Vijaywada. Shoppers Stop is engaged in the retailing business. It runs a chain of departmental stores with brands including Shopper’s Stop, Home Stop, Crossword, Cafes and Restaurants etc. महाराष्ट्र सीमलेस की आयोजित होने वाली 03 अगस्त 2011 बोर्ड बैठक मे समाप्त वित्तीय वर्ष 30 जून 2011 के लिए कंपनी के जाँचे हुऐ वित्तीय परिणामों पर और बिना जाँचे हुऐ वित्तीय परिणामों पर विचार किया जाएगा और 31 मार्च 2011 को समाप्त वर्ष के लिए कंपनी के वार्षिक खातों को मंजूरी दे दी है. The board meeting of Maharashtra Seamless will be held on 03 August 2011 to consider and approve the annual accounts of the company for the year ended 31 March 2011 and to consider the unaudited financial results for the quarter ended 30 June 2011. The board will also recommend dividend, if any. 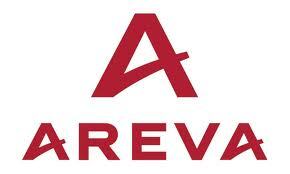 Areva T&D India has entered into a memorandum of understanding (MOU) with Power Grid Corpoartion of India (PGCIL) to provide ultra high voltage technology for PCGIL’s upcoming 1,200 kV UHVAC national test station at Bina in Madhya Pradesh (MP). PCGIL is in the process of establishing a 1,200 kV ultra high voltage AC transmission system at Bina. This development will facilitate field testing of equipment before deploying the technology for commercial purposes. All these high end products have been developed, manufactured and tested at Areva T&D India’s world class factories at Hosur and Padappal (Chennai). ड्यूश म्युचुअल फंड ने डीडबल्यूएस इनसता कैश प्लस फंड की नियमित लाभांश योजना में व्यक्तिगत और गैर व्यक्तिगत विकल्प के अंतर्गत दैनिक लाभांश की घोषणा की है. लाभांश की राशि 24 जुलाई, 2011 को 0.00359185 रुपये प्रति इकाई घोषित की है और प्रत्येक के लिए लागू है. योजना का निवेश उद्देश्य अल्पकालिक, उच्च गुणवत्ता मुद्रा बाजार और ऋण उपकरणों के पोर्टफोलियो में निवेश करके उच्च चलनिधि के साथ स्थिर रिटर्न उत्पन्न करना है. The amount of dividend declared for July 24, 2011 is Rs 0.00359185 per unit and is applicable for individual. विपुल की आयोजित होने वाली 09 अगस्त 2011 बोर्ड बैठक में समाप्त वित्तीय (स्टैंडअलोन और समेकित) वर्ष 31 जून 2011 के लिए कंपनी के जाँचे हुऐ वित्तीय परिणामों पर और बिना जाँचे हुऐ वित्तीय परिणामों पर विचार किया जाएगा और वर्ष के लेखा परीक्षित वित्तीय परिणाम 31 मार्च 2011 को समाप्त हो जायेगे. और बोर्ड समाप्त वर्ष 31 मार्च 2011 के लिए भी लाभांश की भी सलाह देगी. And also to consider recommendation of dividend for the year ended 31 March 2011. जेट ऐर्वाय्स (इंडिया) ने 30 जून, 2011 को अपनी पहली समाप्त तिमाही के लिए परिणामों की सूचना दी है. बैंक का शुद्ध लाभ 30 जून, 2011 को समाप्त तिमाही के लिए 3.52 करोड़ रुपये की तुलना में 30 जून, 2010 को 123.16 करोड़ रुपये की शुद्ध हानि की सूचना दी है इसकी कुल आय समीक्षा के तहत 30 जून, 2010 को पिछले वर्ष की इसी तिमाही के लिए 3023.21 करोड़ रुपये से 3582.39 करोड़ रुपये पर 18.50% से बढी है. The company has reported a net loss of Rs 123.16 crore for the quarter as compared to net profit of Rs 3.52 crore for the quarter ended June 30, 2010. Its total Income has increased by 18.50% to Rs 3582.39 crore for the quarter from Rs 3023.21 crore for the corresponding quarter of the previous year. The fund house has announced dividend of Rs 0.00210500 per unit for individual / HUF and for others it is Rs 0.00180500 per unit for July 21, 2011 under retail plan. The amount of dividend under institutional plan is Rs 0.00220200 per unit for individual / HUF and for others, it is Rs 0.00188800 per unit. सेसा गोवा ने 30 जून, 2011 को समाप्त पहली तिमाही के लिए परिणामों की सूचना दी है. बैंक का शुद्ध लाभ कर के बाद 30 जून, 2011 को समाप्त तिमाही के लिए 1025.51 करोड़ रुपये की तुलना में 30 जून, 2010 को 672.98 करोड़ रुपये पर 34.38% की गिरावट आई है. इसकी कुल आय समीक्षा के तहत 30 जून, 2010 को पिछले वर्ष की इसी तिमाही के लिए 2067.99 करोड़ रुपये से 1831.68 करोड़ रुपये पर 11.43% से कम हुई है. The company’s net profit for the quarter has declined by 34.38% at Rs 672.98 crore as compared to Rs 1025.51 crore for the same quarter last year. Its total Income has decreased by 11.43% to Rs 1831.68 crore for the quarter under review from Rs 2067.99 crore for the corresponding quarter of the previous year . ऋणदाता यस बैंक ने 30 जून, 2011 को समाप्त तिमाही के लिए परिणामों की सूचना दी है. बैंक का शुद्ध लाभ कर के बाद 30 जून, 2011 को समाप्त तिमाही के लिए 156.37 करोड़ रुपये की तुलना में 30 जून, 2010 को 216.08 करोड़ रुपये पर 38.18% से बढा है. इसकी कुल आय समीक्षा के तहत 30 जून, 2010 को पिछले वर्ष की इसी तिमाही के लिए 883.03 करोड़ रुपये से 1564.83 करोड़ रुपये पर 77.21% से बढी है. इस बीच, बैंक की शुद्ध ब्याज आय 262.1 करोड़ रुपये से 354.2 करोड़ रुपये Q1FY11 की तुलना में इस तिमाही के लिए 38.2% से ऊपर है. The bank’s net profit for the quarter has registered growth of 38.18% at Rs 216.08 crore as compared to Rs 156.37 crore for the June quarter of the year 2010. Its total income has increased by 77.21% at Rs 1564.83 crore for the quarter under review from Rs 883.03 crore for the corresponding quarter of the previous year. Meanwhile, the bank’s net interest Income is up by 38.2% at Rs 354.2 crore for the quarter as compared to Rs 262.1 crore in Q1FY11. एडेलवेइस म्युचुअल फंड ने एडलवाइस लिक्विड फंड खुदरा विकल्प के के अंतर्गत दैनिक लाभांश की घोषणा की है. 19 जुलाई, 2011 को फंड हाउस ने व्यक्तिगत / एचयूएफ के लिए प्रति यूनिट 0.00172400 रुपये और अन्य के लिए 0.00165400 लाभांश की घोषणा की है. इस योजना का निवेश उद्देश्य मुद्रा बाजार प्रतिभूतियों और अल्पावधि ऋण प्रतिभूतियों की गठित एक पोर्टफोलियो के माध्यम से कम जोखिम और तरलता की एक उच्च डिग्री के साथ इष्टतम रिटर्न प्रदान करना है. The fund house has announced dividend of Rs 0.00172500 per unit for individual / HUF and Rs 0.00165400 for others for July 20, 2011. रापीकट कारबिड की आयोजित होने वाली 29 जुलाई 2011 बोर्ड बैठक मे समाप्त वित्तीय वर्ष 30 जून 2011 के लिए जाँचे हुऐ वित्तीय परिणामों पर और बिना जाँचे हुऐ वित्तीय (अनंतिम) परिणामों पर विचार किया जाएगा. बोर्ड समाप्त वर्ष 31 मार्च 2011 के लिए भी लाभांश की सलाह देगी. The board meeting of Rapicut Carbides will be held on 29 July 2011 to consider and take on record the audited financial results for the year 2010-11 and to consider the unaudited financial results (provisional) for the first quarter ended 30 June 2011. The board will also recommend dividend for the year ended 31 March 2011. प्रिज्म सीमेंट ने 30 जून, 2011 को अपनी पहली समाप्त तिमाही के लिए परिणामों की सूचना दी है. बैंक का शुद्ध लाभ 30 जून, 2011 को समाप्त तिमाही के लिए 55.90 करोड़ रुपये की तुलना में 9.97 करोड़ रुपये की शुद्ध हानि की सूचना दी है. इसकी कुल आय समीक्षा के तहत 30 जून, 2010 को पिछले वर्ष की इसी तिमाही के लिए 726.82 करोड़ रुपये से 989.12 करोड़ रुपये पर 36.01% से बढी है. The company has reported a net loss for the quarter at Rs 9.97 crore as compared to a net profit of Rs 55.90 crore for the quarter ended June 30, 2010. Its total income has increased by 36.01% to Rs 989.12 crore for the quarter under review from Rs 726.82 crore for the corresponding quarter of the previous year. इन्डोविन्ड एनर्जी ने अपोलो अस्पताल एंटरप्राइज़ के साथ बिजली की बिक्री समझौते को सफलतापूर्वक समूह अपनी सहायक कंपनी इन्डोविन्ड पावर के माध्यम से कैप्टिव योजना के तहत प्रति वर्ष 10 लाख यूनिट की आपूर्ति के लिए पूरा कर लिया है. इस सामरिक टाई - अप कंपनियों को लंबे समय कि अवधि का लाभ देगा. Indowind Energy has successfully completed the power sale agreement with Apollo Hospitals Enterprise, for supply of 10 million units per annum under Group Captive scheme through its subsidiary Indowind Power. 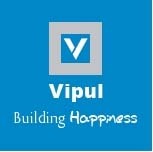 This strategic tie-up shall give long term benefit to the companies. कजरिया सरैमिक्स ने 30 जून, 2011 को पहली समाप्त तिमाही के लिए परिणामों की सूचना दी है. बैंक का शुद्ध लाभ कर के बाद 30 जून, 2011 को समाप्त तिमाही के लिए 11.32 करोड़ की तुलना में 30 जून, 2010 को 16.83 करोड़ रुपये पर 48.67% से बढा है. इसकी कुल आय समीक्षा के तहत 30 जून, 2010 को पिछले वर्ष की इसी तिमाही के लिए 195.50 करोड़ रुपये से 270.17 करोड़ रुपये पर 38.19% से बढी है. Kajaria Ceramics has reported unaudited results for the first quarter ended June 30, 2011. The company’s profit for the quarter ended June 30, 2011 has surged 48.67% at Rs 16.83 crore as compared to Rs 11.32 crore for the corresponding quarter last year. Total operating income has increased by 38.19% at Rs 270.17 crore for the quarter under review from Rs 195.50 crore for the same quarter last year. इंडिया ग्लाइकोल्स ने 30 जून, 2011 को समाप्त तिमाही के लिए परिणामों की सूचना दी है. बैंक का शुद्ध लाभ ब्लैक में 30 जून, 2011 पिछले साल की समाप्त तिमाही के लिए Rs 7.69 करोड़ से 25.77 करोड़ रुपये की हानि हुइ है. इसकी कुल आय समीक्षा के तहत 30 जून, 2010 को पिछले साल की इसी तिमाही के लिए 338.03 करोड़ रुपये से इस तिमाही के लिए 946.94 करोड़ रुपये पर 180.13% से बढी है. 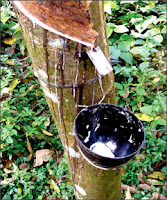 India Glycols has reported unaudited results for the first quarter ended June 30, 2011. The company’s net profit has come into black for the quarter ended June 30, 2011 at Rs 25.77 from loss of Rs 7.69 crore for the corresponding quarter last year. Total income has increased by 180.13% at Rs 946.94 crore for the quarter under review from Rs 338.03 crore for the same quarter last year. सूर्यलक्ष्मी कॉटन मिल्स ने 30 जून, 2011 को समाप्त तिमाही के लिए बिना जाँचे हुए परिणामों की सूचना दी है. बैंक का शुद्ध लाभ कर के बाद 30 जून, 2011 को समाप्त तिमाही के लिए 7.29 करोड़ रुपये की तुलना में 30 जून, 2010 को 9.62 करोड़ रुपये पर 31.96% से बढा है. इसकी कुल आय समीक्षा के तहत 30 जून, 2010 को पिछले वर्ष की इसी तिमाही के लिए 126.71 करोड़ रुपये से 162.56 करोड़ रुपये पर 28.29% से बढी है. Suryalakshmi Cotton Mills has reported unaudited results for the first quarter ended June 30, 2011. The company’s profit for the quarter ended June 30, 2011 has surged 31.96% at Rs 9.62 crore as compared to Rs 7.29 crore for the corresponding quarter last year. Total income has increased by 28.29% at Rs 162.56 crore for the quarter under review from Rs 126.71 crore for the same quarter last year. ऑर्बिट एक्सपोर्ट्स बोर्ड की बैठक 26 जुलाई 2011 को 30 जून 2011 को समाप्त तिमाही के लिए संयुक्त राष्ट्र के लेखा परीक्षित वित्तीय परिणामों को मंजूरी और विचार करने के लिए और 30 जून 2011 को तिमाही समाप्त संयुक्त राष्ट्र के अंकेक्षित वित्तीय परिणामों पर सीमित समीक्षा रिपोर्ट विचार करने के लिए आयोजित होगी. बोर्ड कंपनी के कंपनी सचिव और अनुपालन अधिकारी सत्यनारायण बेसर की जगह में, कंपनी के अनुपालन अधिकारी के रूप में नेहा नांगलिआ की नियुक्ति पर विचार करेंगे. बोर्ड कंपनी के अतिरिक्त निदेशक के रूप में वरुण डागा की नियुक्ति पर विचार करेगी. The board meeting of Orbit Exports will be held on 26 July 2011 to consider and approve the un-audited financial results for the quarter ended 30 June 2011 and to place and take on record the limited review report on un audited-financial results for the quarter ended 30 June 2011. The board will consider appointment of Neha Nangalia as company secretary and compliance officer of the company in place of Satyanarayan Baser, compliance officer of the company. The board will consider appointment of Varun Daga as additional director of the company. सुजलॉन एनर्जी को ओरिएंट ग्रीन पावर कंपनी (ओजीपीएल) से पवन ऊर्जा परियोजनाओं के लिए 100 मेगावाट (एमडबलयू) के लिए एक नया आर्डर प्राप्त हुआ है. आर्डर 650 करोड़ रुपए मूल्य का है, सुजलॉन S95 हवा टर्बाइनों की 48 इकाइयों, सुजलॉन नव शुरू S9X सूट का हिस्सा शामिल है. इन परियोजनाओं के लिए कमीशन उत्तरोत्तर जून 2012 द्वारा 50.4 मेगावाट क्षमता के साथ गुजरात में ऑनलाइन आ रहा हैं, और जून 2012 तक शेष कर्नाटक में 50.4 मेगावाट के साथ, निर्धारित कर रहे हैं. Suzlon Energy has received a new order from Orient Green Power Company (OGPL) for over 100 megawatts (MW) of wind power projects. The order is valued worth Rs 650 crore, comprises 48 units of Suzlon's S95 wind turbines, part of Suzlon's newly introduced S9X suite. These projects are scheduled to be commissioned progressively by June 2012, with 50.4 MW of capacity coming online in Gujarat by May 2012, and the remaining 50.4 MW in Karnataka by June 2012. अपोलो अस्पताल, प्रमुख स्वास्थ्य सेवा अपनी विस्तार योजनाओं के लिए योग्य संस्थागत प्लेसमेंट (क्यूआईपी) के जरिए 330 करोड़ रुपये जुटाने की योजना बना रहा है. फंड का उपयोग 2,400 बेड जोड़ कर FY14 तक किया जाएगा. यह 900 बेड महानगरों में और 725 बेड अपोलो रीच के माध्यम से छोटे शहरों में शामिल करेगा जैसे कि नासिक, आयनमबकम (उपनगरीय चेन्नई में), नेल्लोर और त्रिची. तीन बड़े तृतीयक अस्पताल मुंबई में आएगे. अपोलो के वर्तमान तीव्रता 54 अस्पतालों में 8717 मौजूद है. Apollo Hospitals, a healthcare major, is planning to raise Rs 330 crore via qualified institutional placement (QIP) for its expansion plans. The funds will be used to add 2,400 beds by FY14. This will include 900 beds in the metros and 725 beds through Apollo Reach in small towns such as Nasik, Ayanambakkam (in suburban Chennai), Nellore and Trichy. Three large tertiary hospitals will come up in Mumbai. Apollo’s current bed strength is 8,717 across 54 hospitals. भारतीय प्रतिभूति और विनिमय बोर्ड (सेबी) द्वारा जारी आंकड़ों के अनुसार म्युचुअल फंड (म्यूच्युअल फंड) ने 394.90 करोड़ रुपए मूल्य का निवेश किया और 12 जुलाई, 2011 को रुपए 439.10 करोड़ मूल्य के इक्विटी बेचे. इस प्रकार, म्यूचुअल फंड उस दिन पर इक्विटी में 44.10 करोड़ रुपये की शुद्ध बिकवाली के रूप में खड़ा था. जुलाई के महीने में अब तक म्यूचुअल फंड ने 3961.00 करोड़ रुपये का कुल निवेश किया है और 4,047.10 करोड़ रुपये मूल्य के इक्विटी को बेचा है. इस प्रकार उस दिन म्यूचुअल फंड 868.00 करोड़ रुपये पर खरीदारों के रूप में खड़ा था. Mutual Funds (MFs) made investments worth Rs 394.90 crore and sold off Rs 439.10 crore worth of equities on July 12, 2011, according to data released by the Securities and Exchange Board of India (SEBI). Thus, MFs stood as net sellers of Rs 44.10 crore in equities on that day. In the month of July, MFs have made total investments of Rs 3961.00 crore and sold off Rs 4047.10 crore worth of equities, so far. Thus MFs stood as buyers of Rs 868.00 crore on that day. आईटीसी, बहु - व्यापार समूह है जो कि सनफीस्ट और बिंगो जैसे ब्रांड के तहत खाद्य उत्पाद बनाता है, जिसकी अगले 2-3 महीनों के आसपास 3% से कच्चे माल की कीमतों में वृद्धि की उम्मीद है, लेकिन उपभोक्ताओं के लिए किसी भी प्रमुख कीमतों में वृद्धि की संभावना से इनकार कर दिया. कंपनी का मानना ​​है कि वर्तमान में कच्चे माल की लागत नियंत्रित हैं, लेकिन खाद्य पदार्थों पर मूल्य योजित कर (वैट) चिंता का एक कारण है. कंपनी की कीमतों में कुछ अपवादों को छोड़कर किसी भी महान वृद्धि की उम्मीद नहीं है, अपने उत्पाद का 90% मूल्य वृद्धि के मामले में प्रभावित नहीं है. हाल ही में आईटीसी के गत्ते और विशेषता पत्रों प्रभाग (पीएसपीडी) के लिए एक लाख टन प्रतिवर्ष 600 करोड़ रुपए के निवेश के द्वारा अपनी विनिर्माण क्षमता का विस्तार होने की संभावना थी. 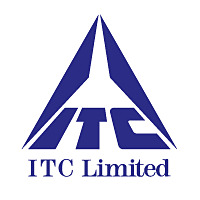 ITC, multi-business conglomerate that makes food products under brands such as Sunfeast and Bingo expects increase in raw material prices by around 3% in the next 2-3 months, but ruled out any major price hike for consumers. The company believes that at present raw material costs are under control but value added tax (VAT) on food items is a cause of concern. The company does not expect any great increase in prices barring a few exceptions, 90% of its products will not be impacted in terms of price hikes. Recently ITC's Paperboards and Specialty Papers Division (PSPD) was likely to expand its manufacturing capacity by one lakh tonne per annum at an investment of Rs 600 crore. भौतिक रबर की कीमतों में नए सप्ताह में घरेलू और वैश्विक वायदा में गिरावट पर नज़र रखी. आरएसएस 4 किस्म के लिए स्पॉट कीमत पिछले बंद 215/किलोग्राम रुपए की तुलना में 213.50/किलोग्राम रुपये पर बंद हुई जबकि आरएसएस -5 किस्म अपने पिछले बंद 213/किलोग्राम की तुलना में 211/किलोग्राम रुपए में बंद हुई. नेशनल मल्टी कमोडिटी विनिमय पर वायदा बाजार में जुलाई डिलीवरी के लिए आरएसएस -4 के अनुबंध पिछले बंद 213.54 रुपए की तुलना में 210.13 रुपये पर बंद हुआ, जबकि अगस्त डिलीवरी के लिए अनुबंध पिछले बंद 215.97 रुपये की तुलना में 212.90 रुपये पर बंद हुआ. Physical rubber prices extended their fall in the new week tracking the decline in the domestic and global futures. Spot prices for RSS-4 variety closed at Rs 213.50/kg compared to its previous closing of Rs 215/kg, while the RSS-5 variety closed at Rs 211/kg compared to its previous closing of Rs 213/kg. In the futures market, the contract of RSS-4 for July delivery closed at Rs 210.13 compared to its previous closing of Rs 213.54, while the contract for August delivery closed at Rs 212.90 compared to its previous closing of Rs 215.97 on the National Multi Commodity Exchange.